A sweet treat for any occasion with a rainbow twist! It’s the season of love and nothing spells it better than red!. Express love for your beloved this Valentines. 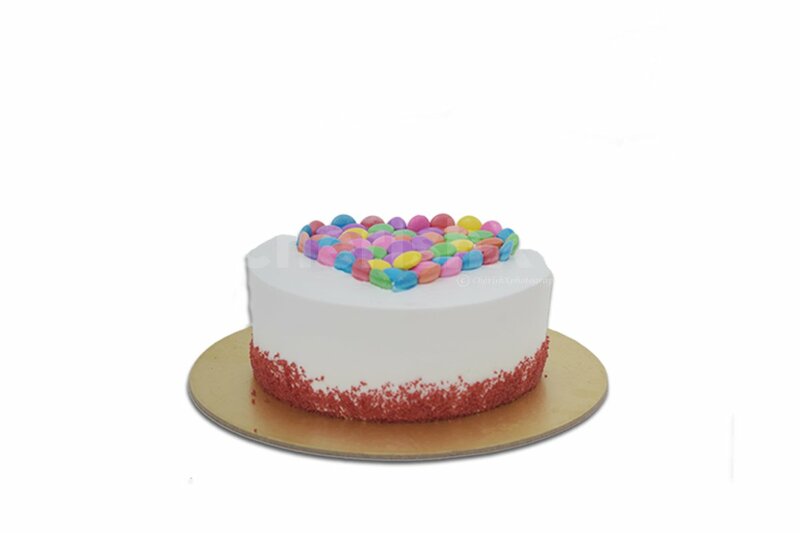 Try this pleasing red velvet cake with white coloured frosty layering & a cute rainbow pattern on top, made up of little candies. This could be an ideal surprise for your love. The velvety texture & great flavour will surely make your love fall for you. This delectable treat to your love is show maker for unsaid words. Gift it on Valentine’s day and thank us later. The base of the cake is red or brownish red layer and all layers including the top layer are iced with buttercream frosting as per the baker’s choice.Basic ingredients which result in this delectable dessert are butter, flour, sugar, cocoa powder or butter cream icing and red food colouring/ beetroot for natural colours. 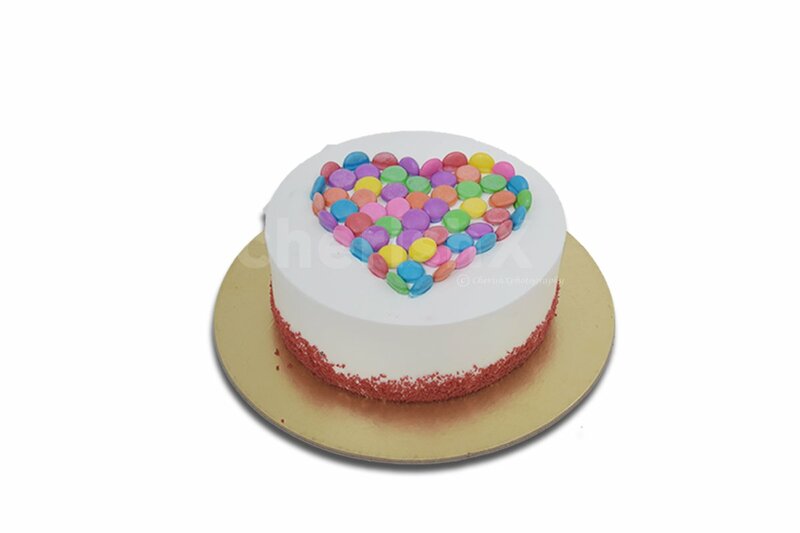 The rainbow drops on top is a pattern specially designed with the purpose of spreading the love.